Aisling Grace has been elected the next Editor of Trinity News by the paper’s editorial staff at the Trinity News Annual General Meeting (AGM) tonight. Grace will serve as Editor for the 2019/20 academic year, the 66th volume of the newspaper. Grace is the current Online Editor for the newspaper, and previously served as Deputy News Editor. Her candidacy was unopposed and, under such circumstances, she was elected to the position after a vote under secret ballot by the editorial staff following a speech and a Q and A session. Grace is a Junior Sophister English and History of Art and Architecture student from Wicklow. 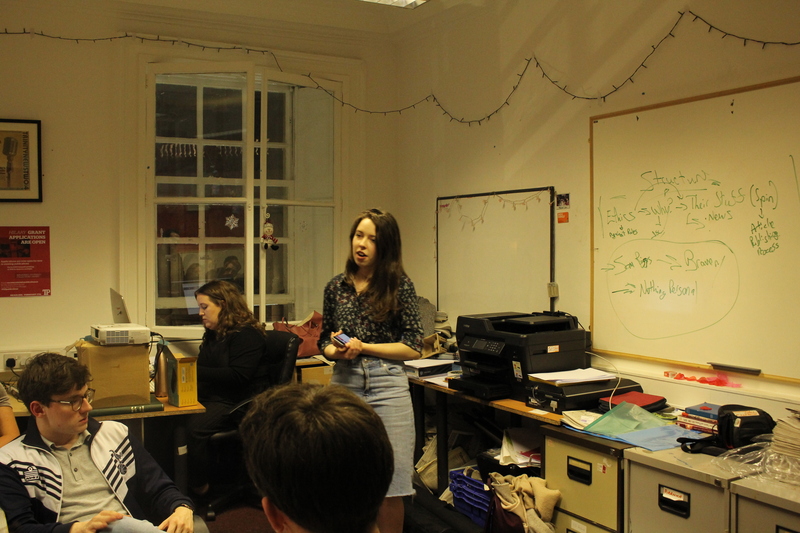 Her tenure will begin in early May, after the final issue of Trinity News for this year is published. As the outgoing editor of Trinity News, I wish Aisling the very best of luck with the position. She has been a pleasure to work with, and I’m confident that she will lead the newspaper to new successes.